Injured in a Car Accident in West Virginia? Call Now! Car accident victims in Morgantown, and throughout all of West Virginia, have depended on the experienced attorneys at Angotti & Straface for exceptional legal counsel and representation since 1952. Our automobile accident legal team fights aggressively for the rights of our clients to receive compensation for medical expenses, lost wages, property damage, pain and suffering, and other losses incurred, as well as those likely to be incurred in the future as a result of injuries sustained at the hands of negligent drivers. 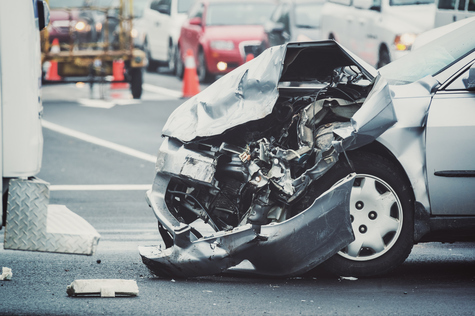 While the at-fault party in some car accidents is very clear, most cases are rather ambiguous, with fault or partial fault shared amongst more than one driver or entity. In these cases, West Virginia’s comparative negligence (or 50% rule) system applies. You are entitled to recover damages if the other motor vehicle operator is 50% or more at fault. However, the amount of compensation that you are entitled to is reduced by the percentage of fault that is actually attributed to your actions, or lack thereof. Notably, failure to wear a seatbelt is not considered an act of negligence. A jury will decide the percentage if the case proceeds to trial. In some cases a third party, such as a vehicle manufacturer or road engineer, may also share blame for the accident. If you have been seriously injured in a car accident, contact the region’s most aggressive legal team to fight for your rights. Angotti & Straface Attorneys at Law L.C. has secured millions of dollars in financial compensation for our injured clients, and we will ensure that your case receives the attention necessary to secure the maximum financial recovery possible. We retain accident investigators on your behalf, and our dedicated staff members thoroughly research all of the facts relevant to the accident, including close analysis of police reports, footage, photographs, physical evidence, the vehicles and/or property involved at the scene of the accident, interview witnesses, and gather any other pertinent details. It is important to contact us as soon as possible so that we can establish the strongest possible case to establish liability. Save our number into your phone or write it down and keep it in your car right now: (304) 292-4381. If you are involved in an accident, call us or have a trusted friend or relative contact us right away. No one wants to be involved in an accident. However, car accidents are extremely common. If you are involved in an accident, you want the best legal team on your side. Immediately. If you have lost a loved one in a fatal car accident in Huntington, Charleston, Wheeling, Parkersburg, Morgantown, or anywhere in West Virginia, we will file a wrongful death lawsuit on your behalf. We offer a free initial appointment to discuss your automobile injury claim. Do not wait. Call now.